People truly are amazing, there is never any shortage of surprises they can throw at you just when you think you have them all figured out. 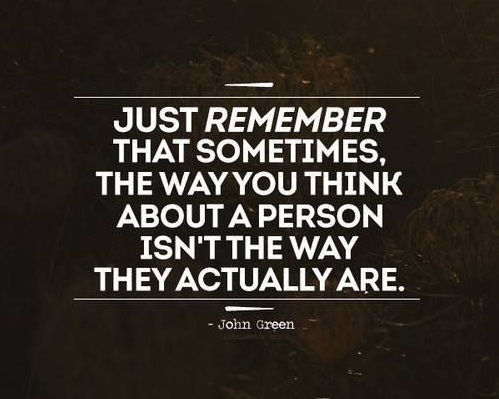 Unfortunately, we all have our opinions and expectations of people that we rarely allow them to surpass. I call this the rose colored glasses syndrome. When you wear a pair of glasses that are red or rose colored, everything has a rose colored hue to it. No matter what color things actually are, they become more red. When we start formulating opinions about co-workers or our kids, we put on our rose colored glasses. 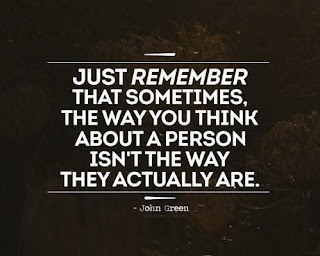 If we think a person is argumentative, everything they say starts to sound like they are trying to pick a fight. The fact of the matter is people can change. Doesn't always happen, but if there is a recognition and desire to be different, a person can change. A person can study, practice, work hard and transform from who they were to what they are. Do we allow them that right by being open to change ourselves? Are we able to change our opinions and recognize that what we thought is no longer true? Could we be the reason that someone isn't showing the growth or development we would expect? Have they given up trying as they think our opinion of them will never change? When we believe that a person hasn't changed, the first change needs to start with you. 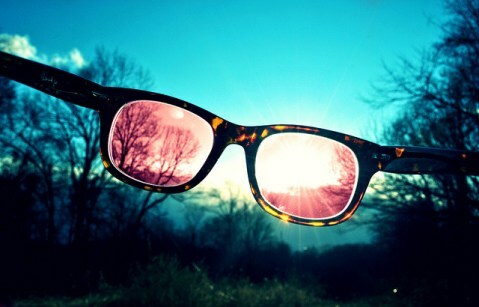 Take off your rose colored glasses and start seeing people differently.